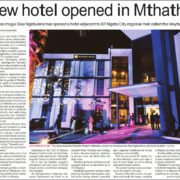 Property mogul Sisa Ngebulana`s R130 million three-star Mayfair Hotel in Mthatha promises to change the city’s nightlife forever, and it all started with a launch party on Wednesday, where guests danced the night away. By the end of the evening, the only people more tired than the revellers were the bar staff, who furiously served free drinks to the unquenchable masses all night. Let`s just say that some drank a little too deeply from the nectar of the gods. 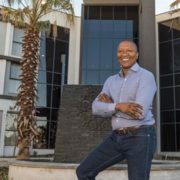 The night started with Ngebulana, the chief executive and founder of the Billion Group, telling his well-heeled guests why he built the hotel: ‘When I was growing up here as a young boy, there was never much that happened. The hotels here are still the same hotels that were around 30 years ago when I left. 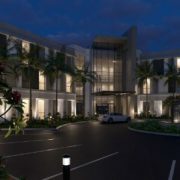 So I needed to create something that I call affordable luxury.’ He named the hotel in part after the London suburb of the same name where he lived for a time. ‘We said we are opening the hotel in May, it is Mayfair,’ he added. 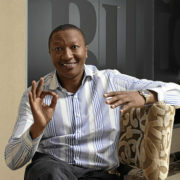 Sisa Ntshona, the chief executive of SA Tourism, said that his childhood friend Ngebulana epitomised black excellence. VIPs included Eastern Cape Premier Phumulo Masualle, OR Tambo district mayor Nomakhosazana Meth, Western Pondoland King Ndamase Ndamase and President Jacob Zuma`s son-in-law Lonwabo Sambudla. After the formalities, abaThembu queen Nocollege Majiki helped Ngebulana to cut the ribbon, which signalled the opening of the hotel. This was followed by a lengthy fireworks display, which was an impressive way to announce the latest addition to the property development business in Mthatha. 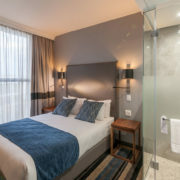 https://mayfairhotel.co.za/wp-content/uploads/2017/07/20170604_citypress.jpg 789 3017 mh_admin https://res.cloudinary.com/kemoso/image/upload/v1512698527/Mayfair%20Hotel/horizontal-logo-brown.svg mh_admin2017-06-04 19:15:462017-07-16 19:31:02"Mthatha gets new lux hotel"
"Smart Mayfair Hotel creates employment"